PalmSHIELD was a part of a historic day in Allentown, Pennsylvania as the city cut the ribbon on their first medical marijuana dispensary. 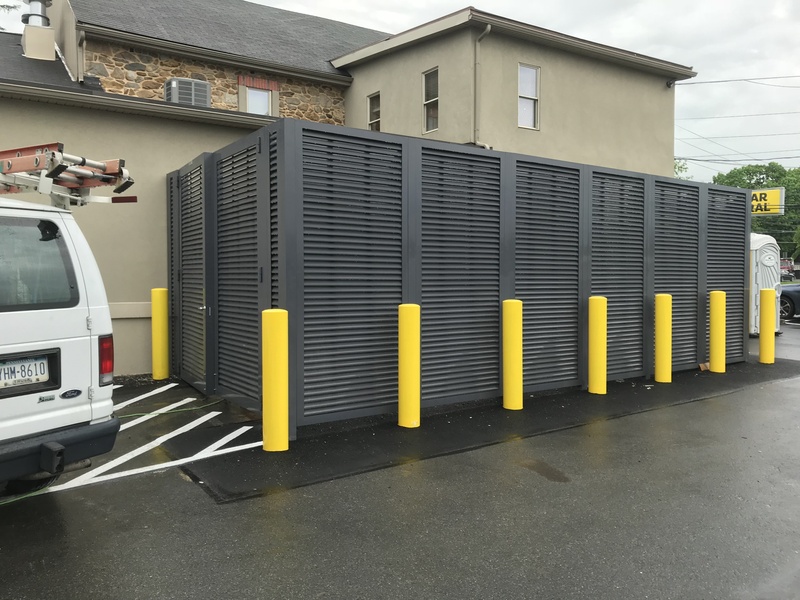 A PalmSHIELD louvered enclosure was installed by ProMax Fence Systems and stands tall at Mission Dispensary. The mechanical equipment screening complements the charming design and cool-toned accents of the building nicely. 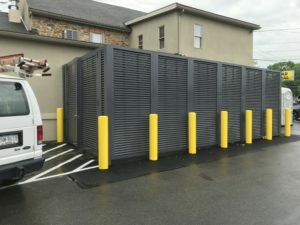 The Mission Dispensary louvered enclosure gate uses Gorilla hinges and an internal locking device to help accommodate its large size. The Gorilla hinges employ butterfly design, pre-drilled and tapped bolt holes and a half inch mounting plate. ProMax Fence Systems has partnered up with us on different occasions to provide customers with mechanical equipment screening. They’re practically experts at installing PalmSHIELD project and you can see how impressive their installation skills are by looking at the Mission Dispensary finished product. Visit us at PalmSHIELD today if you have any questions or inquiries or to see the wide variety of mechanical equipment screening options PalmSHIELD has to offer.